The Melody is THE choice for anyone who is looking for a reliable, reasonably-priced ionizer. The Melody offers top performance and the reliaibility you want – but products often lack – at the lower price points. The Melody has been the proven leader and top seller in the mid-priced ionizer category over the last eight years. The Cleanest Water. The (USA made) UltraWater filtration system gives you peace of mind with a 99.9% reduction of almost all contaminants. This is the ONLY ionizer filter capable of treating potable water so it safe for you and family. Removed are the toughest contaminants like pharmaceuticals, heavy metals, chemicals, VOCs and more. We even offer an option for fluoride removal. See our certified test results here. Plus the water tastes delicious! The Healthiest Water. The Melody offers you top performance, beating other ionizer brands in independent US EPA testing. Dependability. Backed by a record boasting eight years of trusted service and industry low return rate. The Most Functionality. 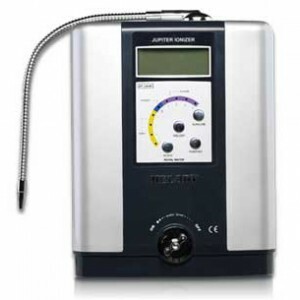 The patented reversible chamber allows for an automatic water flow regulation so that you can always enjoy alkaline water even while your ionizer is cleaning. Cleaning is automatic and in background. You never have to wait. The Greenest Footprint. The Melody’s greater efficiency mean it uses little electricity compared to other brands.